Alcoholism is a family disease, anybody can recover from it without medicine or imprisonment. In his childhood, he was not good at studies. It was his fathers drinking habit that stood as an obstacle for his studies. As a result he failed repeatedly in his Pre Degree examination. However, from this plight, he recovered himself and did B.A in Philosophy at Sree Kerala Varma College. He passed the same with First Rank in the University. Then he did his post graduation in Philosophy at Calicut University Centre and once again won the First Rank in the University. Then he got U G C fellowship for PhD and completed it successfully and became a Doctor in Philosophy in the topic "Gandhy's Views on Socialism" but he is not a Doctor in Medicine. All through his academic life, he was accustomed to drinking. 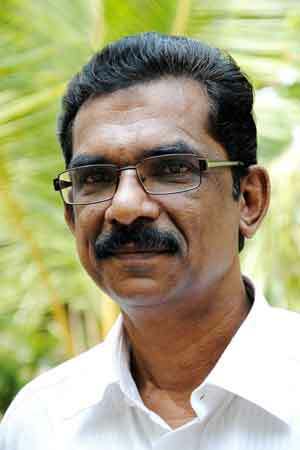 He began his career as a lecturer in the department of Philosophy at Kerala Varma College, Thrissur. As a lecturer, he tried to change the ways of life and for with that intention he got married. Her name is Raji and she was a teacher at a High School at Kottakkal and they wished to start a new life. But unfortunately they both met with an accident after 2 week of their marriage and she lost one Kidney, Spleen, a portion of the Liver and suffered many other internal and external injuries. The same was the condition of Dr Johns who was admitted at Medical Trust Hospital at Ernakulam due to head injuries. They were compelled to undergo treatment for more than 6 months. But soon he lost his job which was a temporary one and was likely to be permanent. This was not expected, because the person on leave was a research scholar who wishes to go abroad for his research. This made him disappointed more than ever before and he sank into drinking once again. Without any income, how to live? Then Dr Johns joined for the degree of L.L.B and turned his attention to study Law at Ernakulam Law College. He joined in the evening session and after 3 years of continuous journey from Kottakkal to Trichur, Trichur to Ernakulam and backwards, during day and night under the influence of Alcohol, he became a Law Graduate .He began practicing as lawyer under a senior advocate at Thrissur Bar. During this period, his habit becomes worse, due to the abundance of sponsors and loss of interest in the job as a Lawyer, debt and other marital, family, and financial problems. By this time he had approached many de-addiction centers for treatment for recovery from Alcoholism, but failed in all his attempts. In spite of his failures he had a will and motivation to recover. Finally he approached "Sanjo Sadan", which is situated at Amballur in the district of Thrissur and came to understand some new facts from Dr V.J Paul. Dr V.J Paul teach him that Alcoholism is a disease and there no medicine for the recovery from it except true knowledge about the means of recovery, its cause. It was at this institution that he recovered from this fatal disease. It was a self realization and he came to understand that knowledge is the most valuable thing. His miraculous escape made him to dedicate his life for serving those who have fallen into the habit of drinking. The miraculous recovery from Alcoholism was enlightenment to Dr Johns. He became aware of the fact that Alcoholism is a family disease and there is no medicine to cure this disease. The only remedy is to know the real facts about this fatal disease and to experience the impact of this disease upon the family and society. This will make a new awareness in the minds of Alcoholics. The value of counselling and group therapy, communal living etc applied in "Punarjani" is totally different from conventional ones. "Punarjani" is striving hard to recover the alcoholic patients in the same way as he recovered from the evil world and life of an Alcoholic. He wanted to impart his happiness to other people who were suffering from addiction to drinking. His knowledge about the minds of Alcoholics and his personal experiences as an Alcoholic. His knowledge about the basic psychological principle and psychological problems and its solutions etc contributed in the experiments conducted by him to form a practically effective and different way and methods for the recovery of Alcoholics from their disease. The Gateless, Medicine less, Psychological methods used at "Punarjani" may be the model for new generation De Addiction Centers in Kerala. The concept of Wounded healer is the Ideal which he practiced in the "Punarjani" and he used the tapering method of lessening the quantity of drinking day by day, to overcome the withdrawal problems. The different method of Counselling without limits of time and space etc and the de-sensitization programs, and follow-up technique etc are unique to "Punarjani". The dedication of his co workers and the beautiful location of the center at the bank of a small Dam reservoir also contribute for the high rate of recovery from Punarjani.